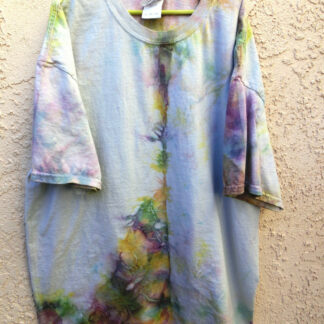 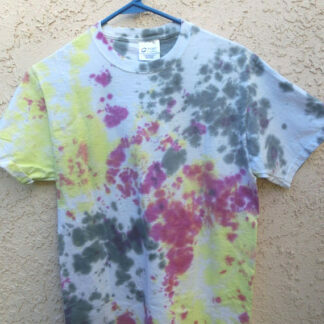 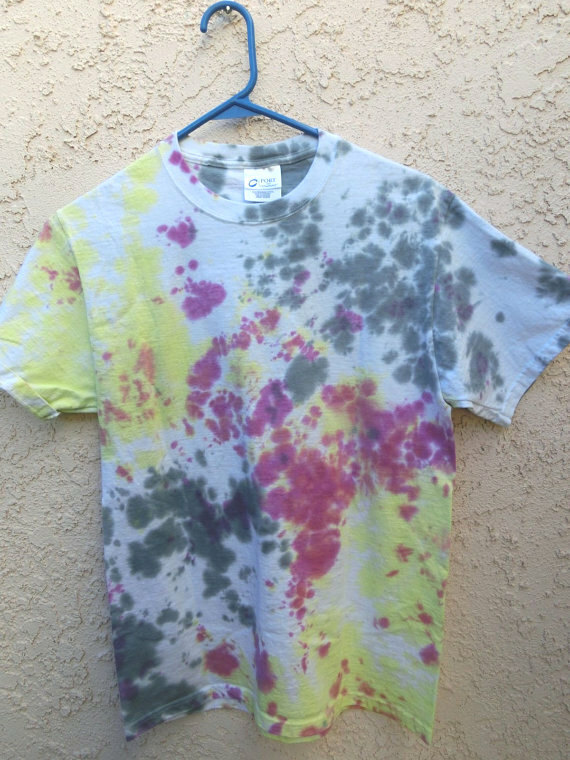 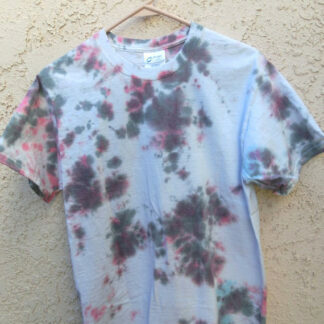 This abstract tie-dye t-shirt splatter design features bold yellow, pink and black designs. 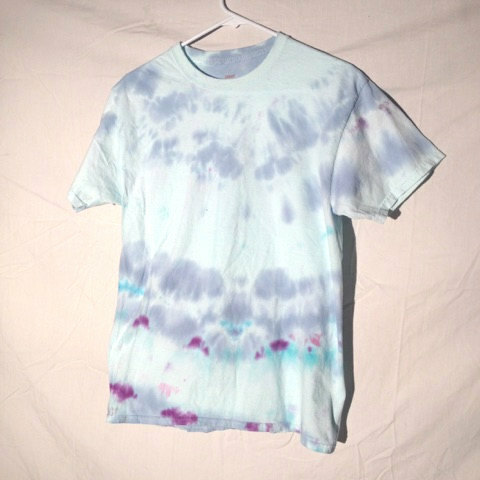 100% preshrunk Port & Company brand cotton tee. 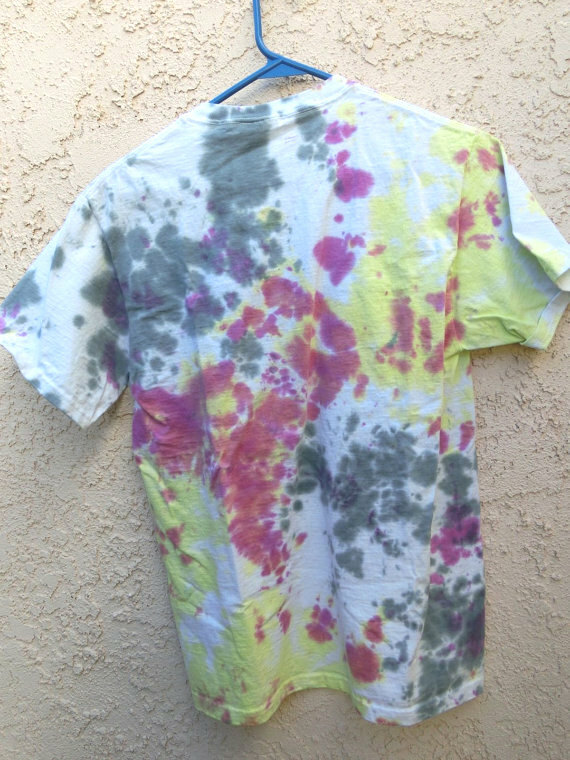 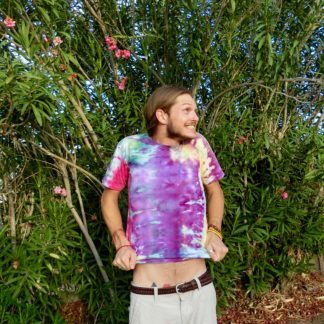 No hippies were harmed in the making of this design.